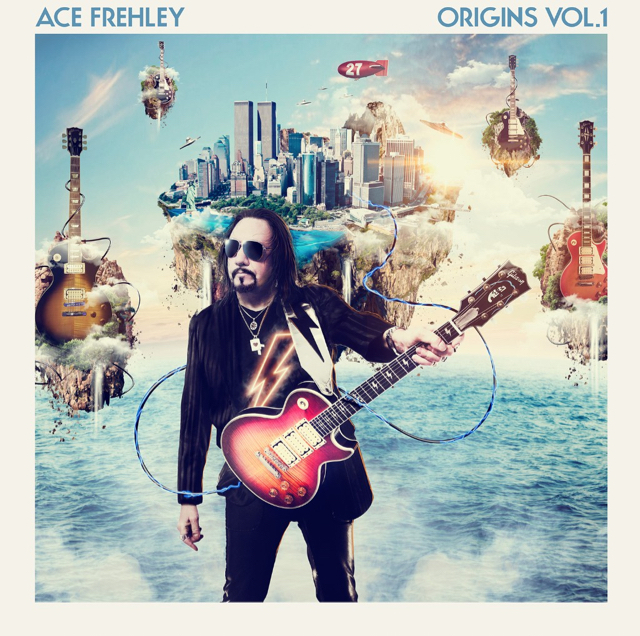 Ace Frehley will release his all-star covers album, “Origins Vol. 1”, on April 15. In the works for the past few years, the project sees the original KISS guitarist joined by guests including former bandmate Paul Stanley, Slash, Mike McCready of Pearl Jam, Lita Ford and John 5 as he traces the roots of his own career. The 12-track collection presents new versions of tracks by Led Zeppelin, KISS, the Rolling Stones, Jimi Hendrix, Steppenwolf, Thin Lizzy and Free, among others. "I'm really thrilled with the whole thing," Frehley tells Rolling Stone. "I'm excited about it, and probably somewhere down the road there'll be a second volume." “Origins Vol. 1” is being previewed with the Cream classic, “White Room”, with drummer Scott Coogan joining the guitarist on lead vocals. Frehley attended Cream's New York City concert debut when he was about 15. "Eric Clapton has always been a big influence on me," says Frehley. "They were opening up for Mitch Ryder and the Detroit Wheels. The Who was on the bill, too. Clapton had a big afro then and that painted guitar. It was pretty cool and different. I always liked 'White Room.'" Frehley launches a spring US tour in Houston, TX on February 26.